This committee handles the many details of worship including the preparation and serving of communion, chancel duties, changing the liturgical colors according to the church calendar, including the beautiful Easter and Christmas celebrations. 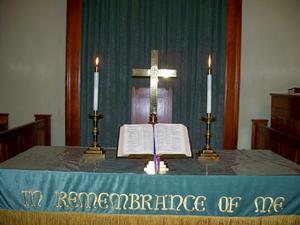 We arrange to have scripture readers, acolytes, communion servers, pulpit supply and organist supply when needed. We serve Bethany Reformed Church by working with the pastor to make worship service a beautiful and meaningful place to worship our Lord!